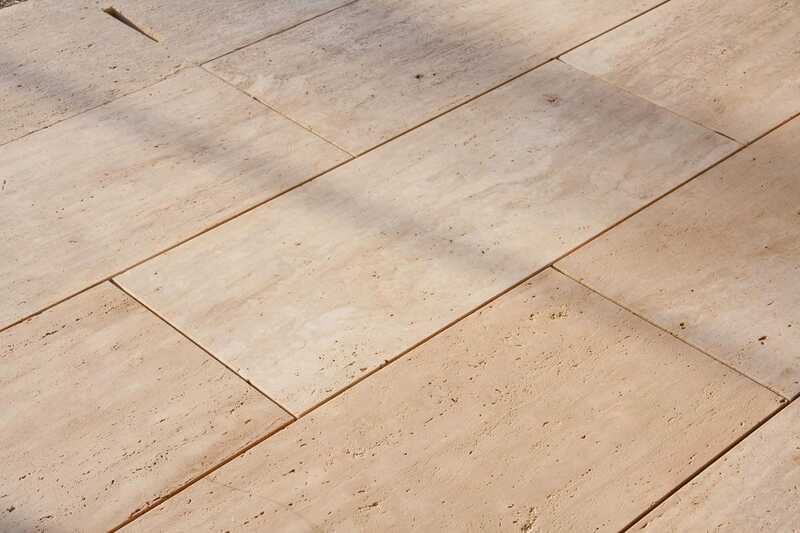 Travertine outdoor flooring enriches the environment with classicism without giving up modernity. Its tones, ranging from broken white and cream to dark beige, bring warmth to spaces of any style, from the most profuse to the most minimalist. Renowned architects and designers are attracted by such a chameleon-like material due to its many applications, textures, and finishes. Its versatility is due to several factors such as the type of cut made to the block, the treatment of its holes characteristic and the surface finish, so it is possible to have an infinite number of versions of the same stone. Depending on whether the tables of the stone have been cut from the block in one position or another (to the law or against the law), the vein pattern varies greatly. Thus, two types of Travertine are obtained: one with a characteristic linear vein pattern in parallel, perhaps the most classic; and the other, with a vein pattern in its filament that travels in a disordered and colorful way, full of nuances. The latter is a very attractive version where all the strengths and nuances of the stone are expressed to its perfection. These chromatic changes give the Travertine an incomparable beauty. There are two different options: open pore, leaving the holes box open, perfect for more rustic or natural environments, or with the pore covered, either with a filling in the same color as the stone, or transparent, with the pore covered but visually still present. Travertine admits an infinite number of surface finishes, Polished, Honed, Domus (aged), Zero (soft sandblasting), etc. Always keep in mind that for exterior areas the finish must be non-slip, this is achieved with finishes such as our Domus, Zero or sandblasted. It is obvious how versatile this magnificent natural stone can be. Follow this link to learn more about TINO Natural Stone finishes. 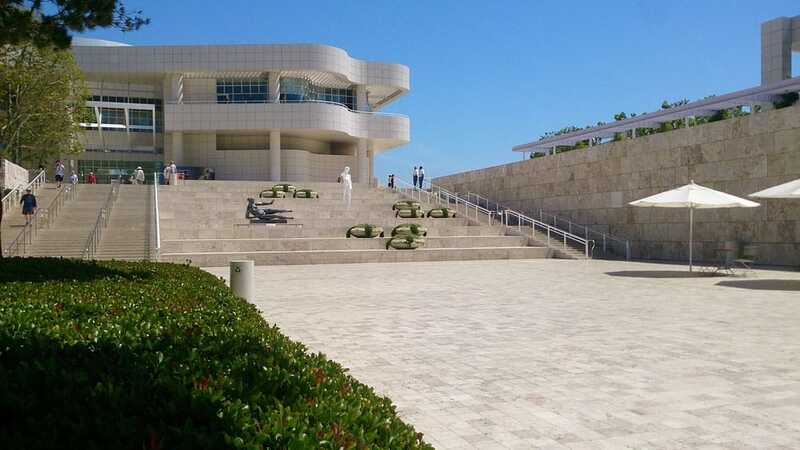 The Getty Center in Los Angeles is one of the most humanistic sites in the United States. Its designer was the renowned Pritzke Prize winner Richard Meier. The complex includes several of Jean Paul Getty’s most important collections and several research-focused institutes. It is a campus that functions as a melting pot of art and knowledge. 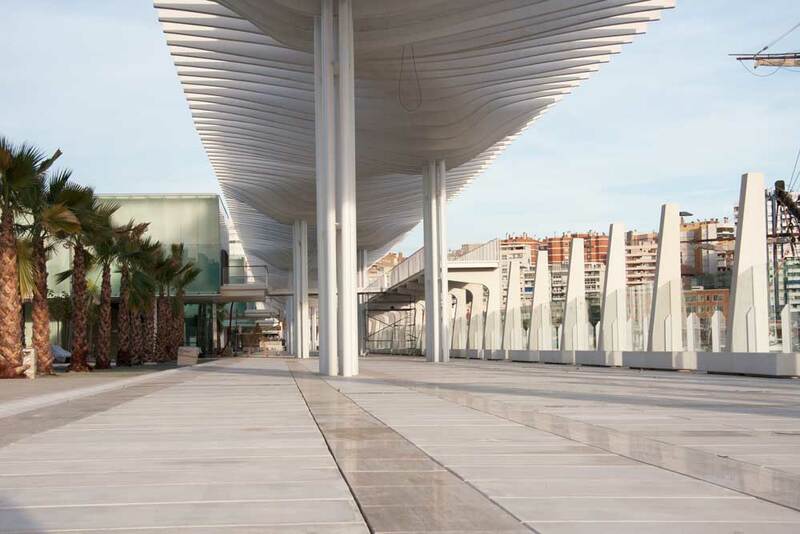 Meier used some 108,000 m2 of Roman Travertine to reinforce the strong cultural component of the environment. Let’s have a look at other examples of Travertine exteriors flooring. TINO Natural Stone participated in this project using Iberian Travertine applying the DOMUS finish. It is a warm and rugged travertine floor that gently caresses the soles of the feet in summer. An elegant, beautiful and very practical choice. 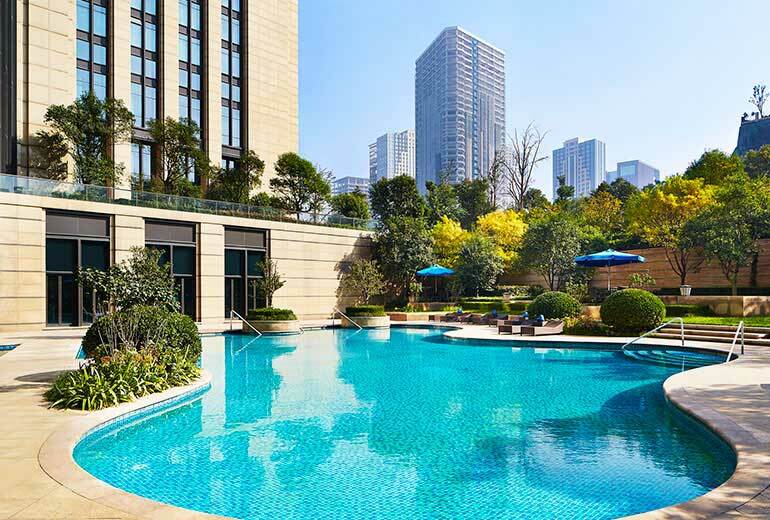 Another great example of outdoor Travertine flooring is the swimming pool of the emblematic Sheraton Jinan Hotel in China. Guests find a haven of peace when they arrive at the pool and enjoy the comfort and distinction of theTravertine floor. We leave one pool and dive straight into another. This pool belongs to a luxury villa in Marbella. Once again, a textured Iberian Travertine becomes the protagonist of the space, providing well-being and good taste. 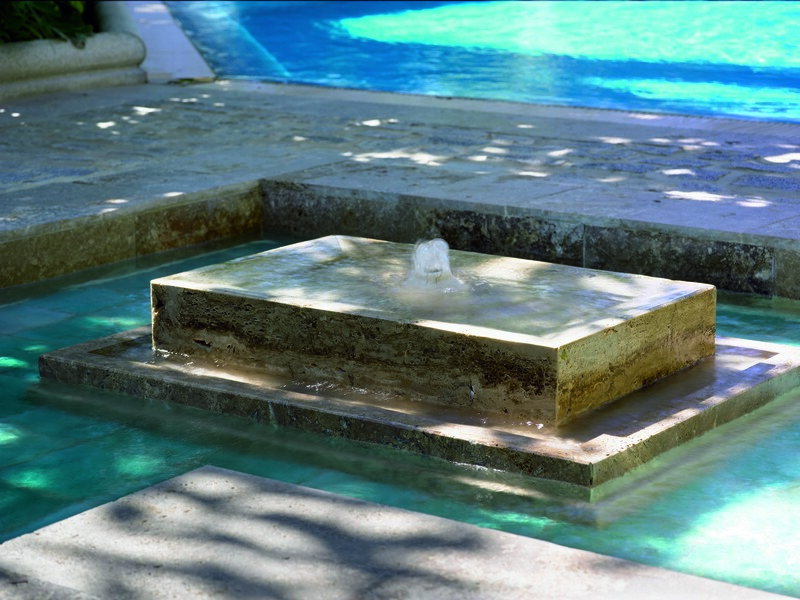 This example confirms how well Travertine adapts to outdoor projects. This elegant dock combines various textures of Travertino Classic and offers the pedestrians an exclusive, luminous and pleasant walk. The house in the image shows that Travertine is perfect for offering a counterpoint in minimalist and rectilinear designs. This beautiful villa, besides having a ventilated Travertine façade, also has Travertine outdoor floors. The designer knows how to enhance the sinuous hollows of the Travertine as the only ornament, contrasting them with the straight lines of the floors and façade. If, like us, you are also betting on Travertine outdoor flooring, don’t hesitate to contact us. You may also be interested in our previous post “Travertine interior flooring“.